Did you know that pests can use your HVAC system as their home? As scary as that may seem – that is true. This is why it is very important that you check your unit every now and then to ensure that it will not be compromised by these unwanted settlers. These pests can dig their way into your heating and cooling unit – destroying and gnawing on parts. They can significantly lower the lifespan of your beloved HVAC at home. First of all, let us get to know the 4 pests that can wreak havoc to your heating and cooling unit. The first pest that you have to worry about are insects. Cockroaches, spiders, dust mites – name it and it can destroy your HVAC system. They are small enough to fit into every nook and cranny in your home. You can bet that they can fit inside your air conditioning unit. While some of them will not really harm you, there are insects like dust mites that can trigger allergy attacks in the family. Cockroaches can also spread diseases. Make sure your ductworks are cleaned on a regular basis to spot these insects and keep them from compromising your unit. These rodents are really a big problem. They love tight spaces and we are sure that your HVAC system is quite appealing to them. The thing is, they can cause significant destruction to certain parts in your unit. They chew through components and even the refrigerant lines. When they start building nests in your ductwork – you can expect things to get really expensive from then on. If you notice them around your HVAC or anywhere around the house, you might want to invest in a professional extermination. These mice do not have space in your house and you need to ensure that when they are driven out, they will never return – especially in your heating and cooling unit. If mice can get in, you can bet that even small animals like squirrels and raccoons can also squeeze themselves into your HVAC – specifically the ductwork. Sometimes, they can even get into your attic or basement. What makes you think they will not notice your air conditioning unit from the outside? They might feel it is more comfortable than taking residence outside. In case they do end up in your unit, do not just drive them out. 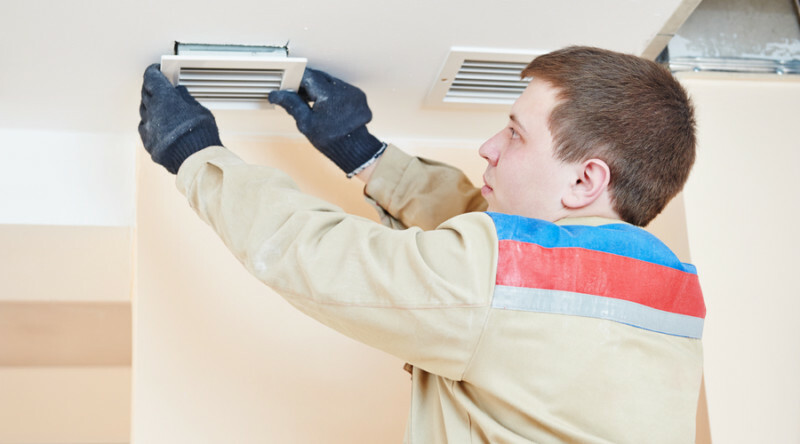 Make sure you clean your HVAC unit to ensure that there are no debris or waste left behind. This is probably the scariest of all the pests that can get into your HVAC system. These animals are cold-blooded creatures so they naturally gravitate towards anything that will help them regulate their body temperature. That means your air conditioning unit is practically calling out to them. If you find a snake nest in your HVAC unit, that can be a real problem. They usually coil around the condenser and can even damage the fan blades. Not only that, they might use the unit to enter into your house. With all of these pests, you now understand why it is important for you to schedule a regular maintenance of your HVAC system. The sooner they can be spotted, the less damage they can bring into your system.